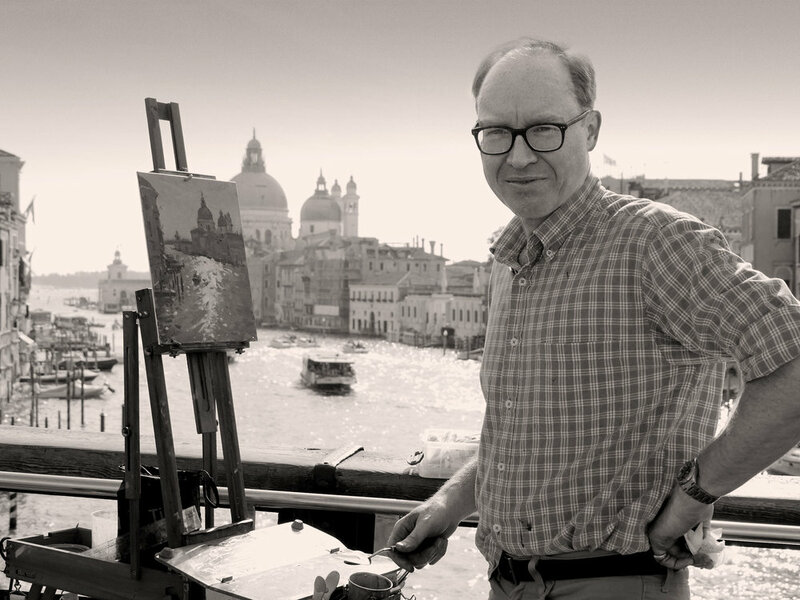 Ben has been painting and exhibiting for nearly 30 years in both oil and watercolour. He is now a full time painter after happily abandoning a long career as a solicitor. 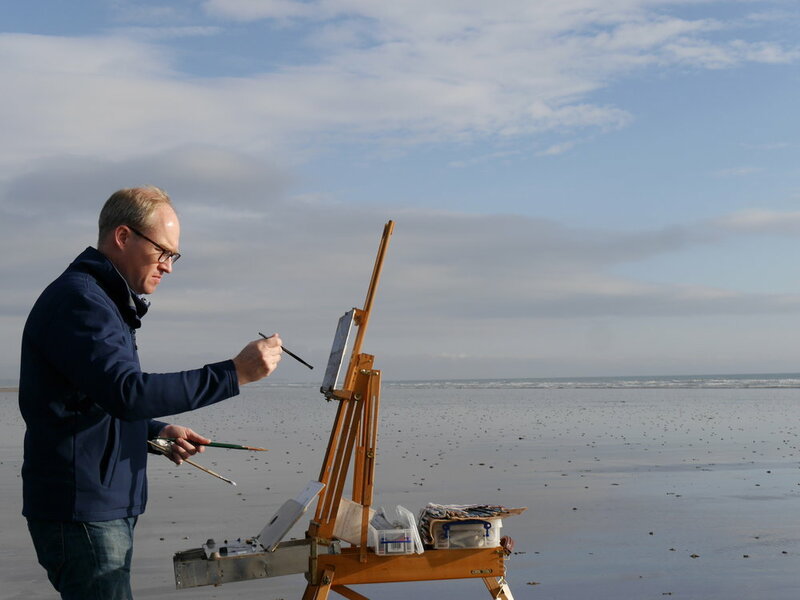 He is currently the elected President of the Royal Society of Marine Artists (RSMA) who are based in the Mall Galleries, just off Trafalgar Square, London. He exhibits regularly in London and in his home county of Kent. His work is in private collections in the UK, the USA, Europe, the Middle East and Australia. He has won numerous awards, including the St Cuthberts Mill Prize for best work on paper in the 2006 RSMA exhibition. In 2007 his work was chosen by the President of the RSMA to represent them at the Boat Show, Earls Court. In 2013 he was awarded the Buzzacott prize for best watercolour in the annual exhibition of the RSMA. A number of his oil paintings were selected recently for inclusion in the 2018 annual exhibition of the Royal Institute of Oil Painters (ROI). Travel is a significant feature of his work; not only throughout his immediate environment of Kent but also London, the South Coast, Norfolk and further afield to France, Morocco, India and especially to Italy. Venice has always been and remains an increasing inspiration. 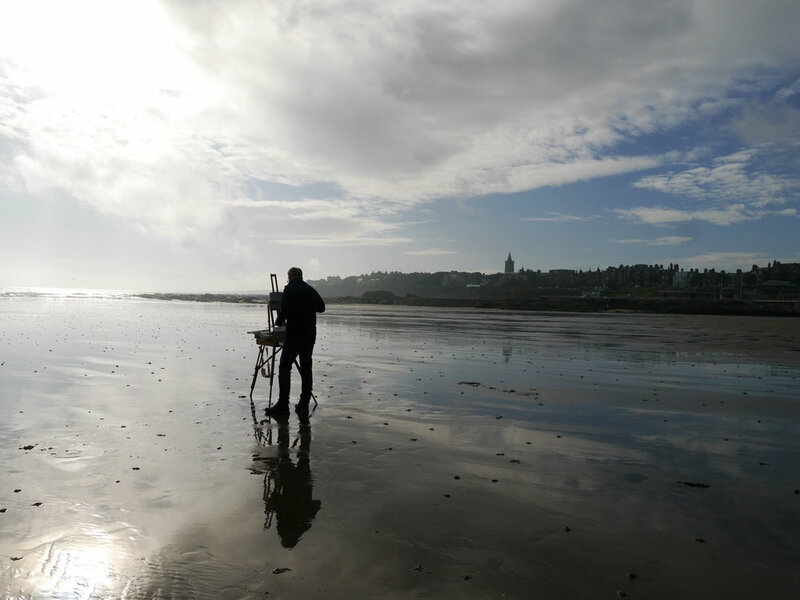 He enjoys working en plein air as well as in the studio. Light, atmosphere and the presence of water are notable features of his work. It is the celebration of these elements that make his work distinctive and desirable.